My name is Rebecca Welsh. I found your name on the Homeschool World website. I am from Birmingham, AL. I am a counselor at Daymark Pastoral Counseling; serving the Greater Birmingham/Shelby County and surrounding areas. We offer counseling services to families and adolescents struggling with adjusting to the adolescence stage and helping teens cope with depression and anxiety. I also work with adults and adolescents work through trauma and issues relating to spirituality. I know that homeschooling has its unique strengths and challenges for families and I wanted to make myself a resource to you and your organization. Do you have a process for advertising different resources and organizations? 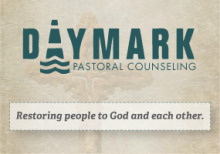 Would you mind pointing me in the right direction to make information about Daymark Pastoral Counseling and our counselors available to parents and families within your organization? If you are interested but need more information about Daymark Pastoral Counseling; please feel free to give me a call at (205) 871-3332 x4 or check out our website www.daymarkcounseling.com. I look forward to hearing from you and the possibility of working with you too! "Grace means that of your mistakes now serve a purpose instead of serving shame" Dr. Brene Brown, PhD.